The Department of General Medicine is committed to setting the highest standards for patient care, ground-breaking professional education, teaching, and training. We are devoted to community for preventing, diagnosing, and treating all aspects of human disease and strive to provide compassionate and pioneering health care to all of our patients. 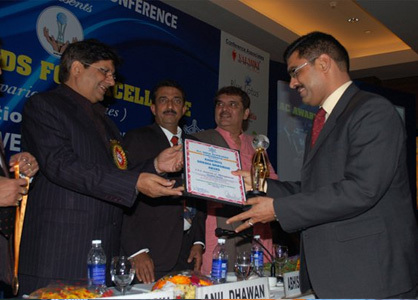 General Medicine is one of the very important branches of clinical practice. It covers the aspects such as: Common infections, systemic based diseases i.e. neurology, cardiology, respiratory, nephrology that are relevant to all medical specialties. The students are posted in the hospital to see and study about various emergency and elective procedures. For BDS students as they will be dealing with so many types of patients in their daily clinical practice, they are made aware of various common diseases their signs and symptoms, diagnosis and treatment. They are taught about the significance of vital signs like blood pressure, pulse rate and respiratory rate. Every week two days posting for BDS III year students and one lecture every week in the curriculum. The significance of various lab tests required before minor dental procedures is also taught in the clinical observership postings, the students observe daily general OPD to inculcate the skills of diagnosis and treatment planning. In the hospital students learn to give I.V and I.M injections and give dressings to the patients. At Surya Hospital, I.T.S- our department is well equipped and efficient enough to provide required for different modalities of investigations for diagnosis. So, that the patient don't have to go nearby cities for various investigations for treatment. Our hospital also provides facilities for general & private wards. Daily on an average 100 patients at our OPD we have and 10-15 IPD. 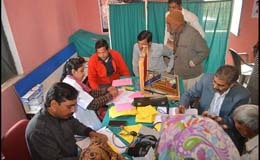 At Surya HospitaEvery Wednesday, a Physician is going to the Sultanpur village for regular medical checkup and 12-15 camps every month we are going and examining patients and they are also provided with the facility of blood pressure check up and diabetes investigation at the camp venue. We are also attending camps of general OPD/ specialist OPD on a regular basis. Thus our aim is to diagnose & treat diseases in their initial stage only so as to decrease mortality & morbidity and serve humanity in the best possible way.